Tags: blue earrings, earrings, gold jewelry, hoop earrings, tassel earrings. Pack a punch with our Livie Hoop Tassel earrings, from our Urban Bluetopia collection. 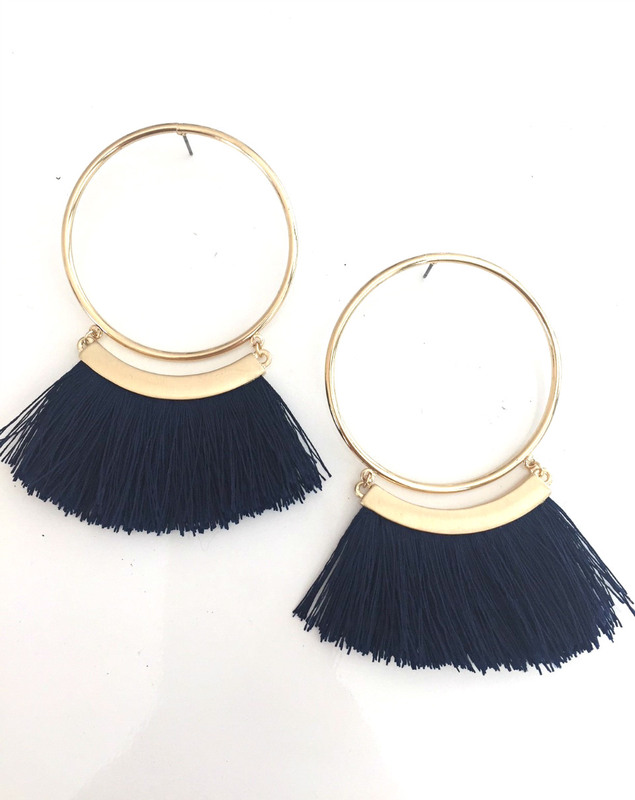 These gold colored hoop earrings complete with royal blue colored thread tassels add both drama and glam to complete any killer night out outfit.